This is the first part of a series articles about turning a circuit idea to design using only free software. EDA stands for electronic design automation and Wikipedia has a nice comparison table of software for this job. Before drawing the schematic and designing the PCB we need a circuit idea. 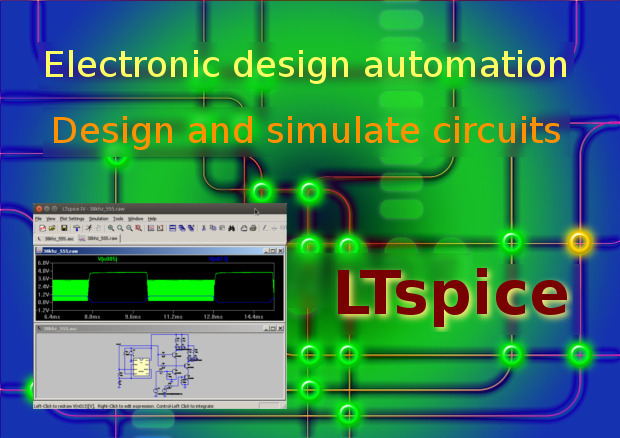 Then we will use the free circuit simulation software LTspice to simulate our design. This is what this article is about. LTspice is developed by Linear Technology and it runs native in Windows and Mac OS X. The Windows version runs without issues on Linux using Wine. This is not a LTspice tutorial. For that we recommend Terry Sturtevant's and Simon Bramble's tutorials. You will also need electronics knowledge. 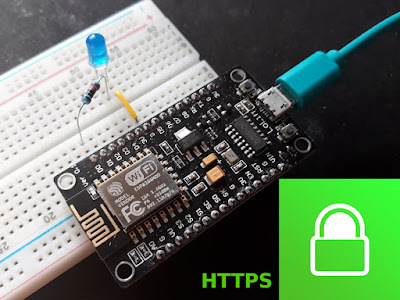 See All About Circuits, Learn Electronics Online or Learn About Electronics. 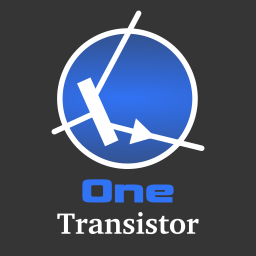 Most do-it yourself TV antenna projects online use a ready made impedance matching transformer between antenna and cable. But what can you do if you can't find one at your local supplier? This post will show you how can you make one. You could use some hard to find double hole pig-nose RF ferrite cores, but this transformer has good performance even with ordinary toroidal cores. 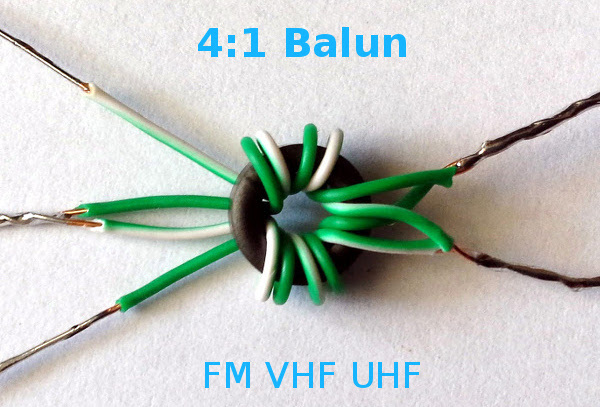 This transformer can be used for VHF and UHF reception (from 50 to about 800 MHz). The input is 300 ohms balanced and the output is 75 ohms unbalanced, ready for coaxial cable connection. A device similar to what is presented here is used in commercially available antenna preamplifiers with 300 ohms input.